David Berger says long-term success depends more on change management than on technology. Most managers are familiar with “change management” and the idea that a company’s success is based on how well the company can effect change. This applies aptly to getting the most out of your CMMS following implementation. Yet despite management’s acknowledgement of the importance of change management and the tremendous capability of today’s CMMS solutions, so many companies struggle to extract maximum value from their CMMS. This article is part of our monthly Asset Manager column. Read more from David Berger. Failure rates for getting long-term value out of a CMMS remain high at about 50 percent, depending on how you define “failure.” In my experience, a failed or suboptimal CMMS implementation over the long term almost never stems from a poor choice of CMMS. Rather, the human element of implementation is crucial but is often taken for granted, and short-term thinking creates problems, too. The checklist below can help detect change management issues that may be brewing as you implement a new CMMS. Is there a shared vision as to where the corporation is headed in the long term, and is it clear how the CMMS supports that vision? Are or will there be there strong signs of top management support before, during, and long after initial package installation? What about support from middle management? Are managers’ actions consistent with their words? Do change implementers understand and embrace the change at hand? Are there senior business people who have been removed from their regular duties to focus on implementing the CMMS and who will continue to support it thereafter? Have sufficient resources been allocated to CMMS implementation and ongoing support, including human resources, equipment, facilities, and external services? Has sufficient time been allocated for a successful implementation? Typically this will be six to 18 months for initial rollout and as many as five years to extract true value out of the CMMS. Is there measurement in place to determine whether the CMMS was implemented successfully? Are monitoring procedures in place to continue to track benefits realization? Is there a communications plan that provides regular updates to all stakeholders and provides a feedback mechanism for those managing CMMS implementation and ongoing support? What level of education and training is planned for each stakeholder group with respect to the nature and benefits of the changes anticipated? Is there a history of poorly implemented changes that created apathy among stakeholders? Has resistance to change brought about by implementing the CMMS been anticipated? Is there a plan for managing that resistance? Are there rewards for the early adopters of change and consequences for those who continue to resist? Is the pain of implementing and properly using the CMMS seen to be less of a pain than keeping the status quo? Are customers potentially affected by changes anticipated, and is there a plan to mitigate that risk? 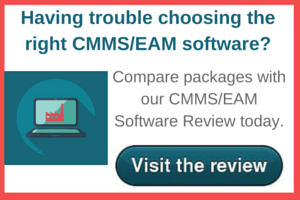 Are maintenance employees ready and willing to accept the changes brought about by the CMMS? What about other stakeholders? If you have an informed answered to all of the questions above, you’re well on your way to getting the most out of your CMMS. Most CMMS implementations are based on timelines that are technology-driven, leading to change issues long after implementation. Modules and interfaces with other software are installed one by one or using the “big bang” approach – that is, a single cutover date. Technology-driven implementation can be highly disruptive and subject to much resistance from all stakeholders. A more-effective approach is to build a timeline based on change readiness, starting with the priority of protecting the customer from any negative impact. Most companies end with the customer, if they consider the customer at all. For example, if a change results in a machine not being repaired, the production schedule may be adversely affected. Most companies will wait until a disruption occurs before taking action. The best approach is to make plans to ensure that no customer impact will result at any point. The readiness model should consider all the steps required to protect against customer impact. Contingency plans should be developed to deal with any service disruption. Employees, of course, need to be ready to be able to prevent customer impact and deal effectively with customers should the need arise. Typically, there is a six-month lag between customer readiness and employee readiness. Imagine how an employee will handle a customer when that employee is just beginning to understand the nature and impact of what a given change will mean to his or her job responsibilities. Employee readiness requires preparation of a communications plan, a training plan, and a plan for any changes to the work environment, such as newly designed workstations or mobile solutions. Each plan must be published well in advance of any change so that employees can be prepared. The term “employees” is very broad. Many departments, including maintenance, operations, engineering, finance, procurement, human resources, and information systems, have a stake in ensuring that the CMMS implementation is successful over the longer term. Each employee group will have its own timeline of readiness activities. The readiness of other stakeholders such as suppliers or strategic partners must also be considered. In some cases, this is done ahead of readying your employees, such as with requesting that a vendor supply parts with a specific type of bar code or RFID label or requesting electronic transfer of quotations, purchase orders, and invoices. The supplier, too, requires sufficient lead time for implementing the change. David Berger, P.Eng. (AB), MBA, is president of The Lamus Group Inc., a consulting firm that provides advice and training to extract maximum performance, quality and value from your physical assets, processes, information systems and organizational design. Based in Toronto, Berger has held senior positions in industry, including for two large manufacturers, and senior roles in consulting. He has written more than 450 articles on a variety of topics such as asset management, operations management, information technology, e-commerce, organizational design, and strategy. Contact him at davidb@lamusgroup.com. Successfully managing change to extract value from your CMMS requires that all stakeholders understand their roles and responsibilities, no matter how far past the CMMS implementation. There are five key roles discussed below. Sponsor – The person or group that legitimizes the change is called the sponsor. The sponsor carries the vision and has the motivation and power to make the change a reality. Champion – The champion is an agent of the sponsor who will effectively drive the change at all levels. In smaller companies, the champion and sponsor may be the same person. Choose a champion who is senior in the organization and who has credibility with management and workers from the operations and maintenance departments. Preferably, he or she should be a line manager from operations to ensure maximum buy-in. Change agent – An individual or group who implements the change is called a change agent. These are the resources used by the champion as an implementation team. Target – The group that is expected to change is called the target. For a CMMS implementation to be successful over the long haul, the target isn’t just the maintenance department; many stakeholders are affected by the new system. Influencers/advocates – Finally, those people who want the change but who do not have the power of sponsorship and are not targets are called influencers or advocates. An influencer could be someone in finance who sees the value of a particular change or champions from other divisions who went through a similar change. Is your improvement project delivering results? Track these metrics to find out. David Berger says know what you're getting into to avoid costly CMMS problems down the line. Do you know your way around an SLA?